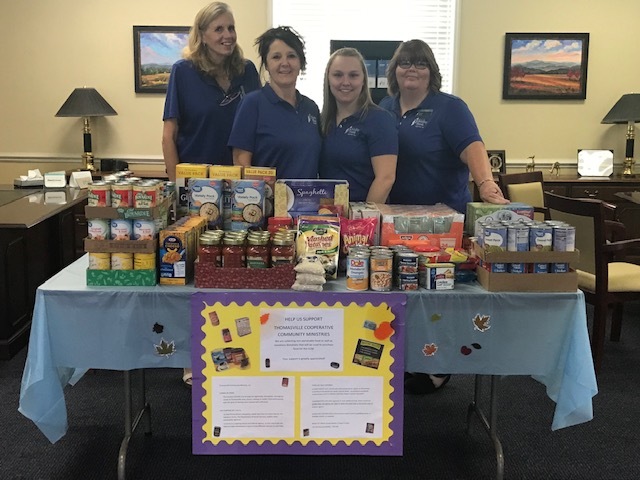 The Fidelity Bank Thomasville team hosted a food drive during t he month of September. Customers, members of the community, and associates collected non-perishable food and personal hygiene items to benefit the Cooperative Ministries Homeless Shelter. Through the support and generosity of the community, the branch was able to raise 260 pounds of food and 1.2 pounds of personal hygiene items for the individuals and families that utilize the shelter’s services.